India is the seventh largest country in the world, stretching from the mountains of the Himalayas to the greenery of Kerala. There are more than a billion inhabitants in India, divided into two thousand ethnic groups. India is a diverse country. It never ceases to fascinate its visitor. It has the driest place on earth (Thar Desert), the place that has the highest rainfall (Cherapunji) and also one of the coldest places on earth (Kashmir). The cultural and geographical diversity, along with the rich history, make India a favorite holiday spot. There are also several landscapes and monuments to explore in India. 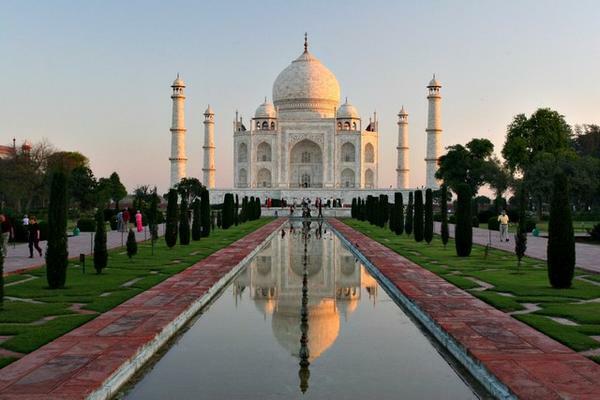 Here are twenty tourist attractions that beautifully capture the diverse charm of India. The Taj Mahal is a white marble mausoleum located in Agra, Uttar Pradesh. 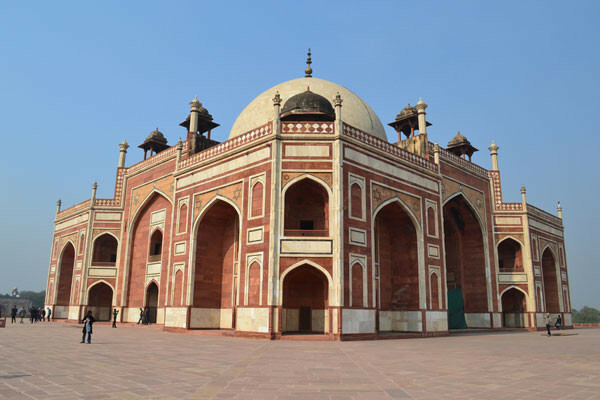 The monument is regarded as the finest example of Mughal architecture and is one of the universally admired masterpieces of the world’s heritage. This white domed marble mausoleum combines the elements from Persian, Ottoman, Islamic Turkish and Indian architectural styles. Taj Mahal was built by Shah Jahan, a Mughal Emperor in the memory of his wife, Mumtaz Mahal. Do not miss to walk in the garden along the Yamuna River while appreciating the beauty of this beautiful tomb. The Red Fort is a popular tourist spot in India. Every year on the Independence Day, the Prime Minister of India hoists the national flag at the main gate of the fort. 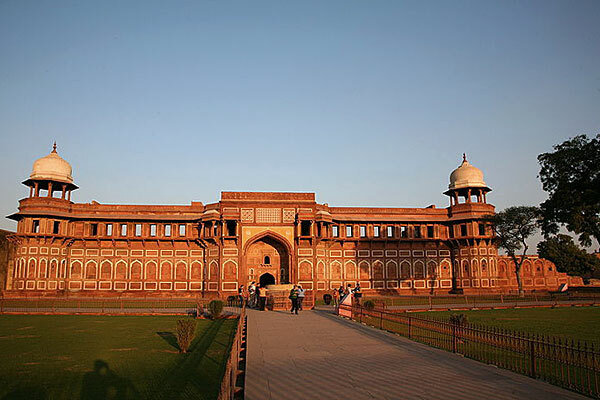 The Red Fort was constructed by Shah Jahan as the capital of the fifth Mughal state. It was the residence of the Mughal emperors for nearly 200 years. The fort was also the ceremonial center of Moghul government. It is located in the center of Delhi and is named for its enclosing walls of red sandstone. This impressive monument represents the zenith of Mughal creativity and architectural brilliance under Shah Jahan. Each pavilion of the port contains the elements typical of Mughal buildings. The innovative design of Red Fort influenced the construction of later buildings and gardens in Delhi. Qutub Minar is the second tallest Minar in India. This 73-meter high tower of victory was built in 1193 by Qutab-ud-din Aibak. It is said that Qutub Minar can be seen from most parts of the city. Qutub Minar has five distinct storeys that are marked by a projecting balcony. The first three storeys are built of red sandstones, and the last two storeys are of marble and sandstone. It is believed that if you can encircle the iron pillar with your hand while standing with your back then your wish will come true. 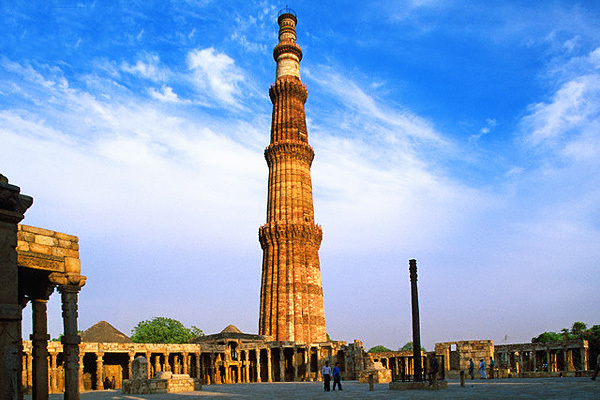 The Minar is surrounded by other medieval structures and ruins that are collectively known as the Qutub complex. Amer Fort is a magnificent historical heritage located on the hills of Aravalli. 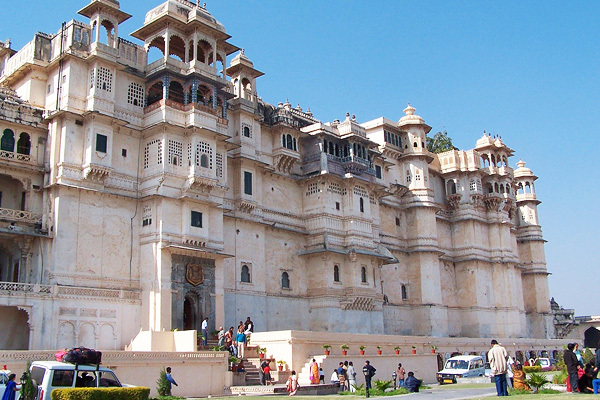 It is noted for its artistic, architectural style that has a blend of both Hindu and Rajput elements. The fort is also included in the list of the UNESCO World Heritage Sites of India. The fort has large sprawling gardens, palace, and large rooms with beautiful decoration. The Amer Fort was built by Man Singh, a Rajput ruler. 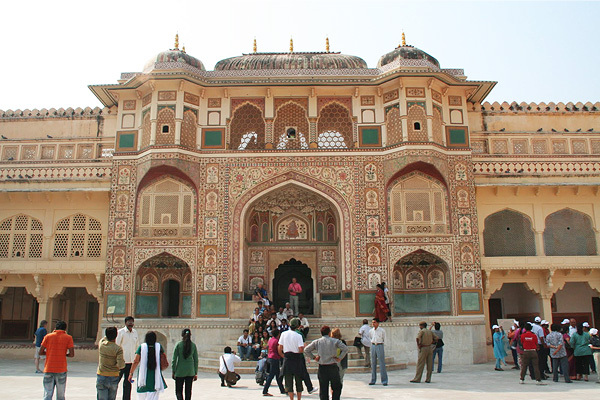 Do not forget to visit the Amber Palace, a beautiful structure built within the Amer Fort. The also palace boasts of the dazzling Sheesh Mahal and Jai Mandir. Hawa Mahal is a palace in Jaipur and one of the most prominent tourist attractions in India. It is named for its high screen wall that was built so that the women of the royal household could observe street festivities while remaining unseen by the eyes of the commons. 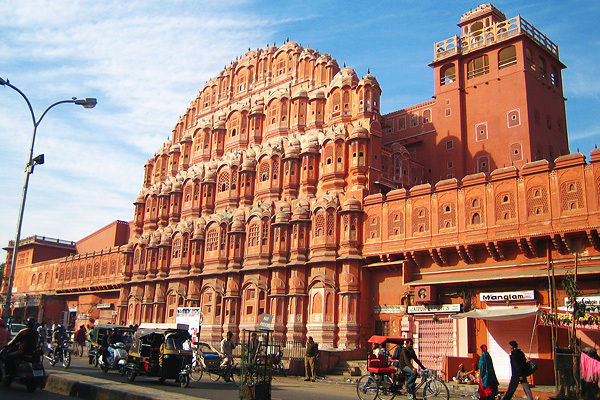 This red and pink sandstone palace is constructed on the edge of the City Palace. The highlight of this palace is its pyramid shape and the 953 “jharokhas” (windows) that are decorated with intricate designs. Humayun’s tomb is a Mughal Emperor Humayun’s tomb in Delhi. The tomb exemplifies the formative stage of Mughal architecture. The tomb was built by his senior widow Baga Begum in 1569-70. This first garden-tomb is located in Nizamuddin East Delhi. The architectural brilliance of the Humayun’s tomb inspired several other monuments, including the Taj Mahal. 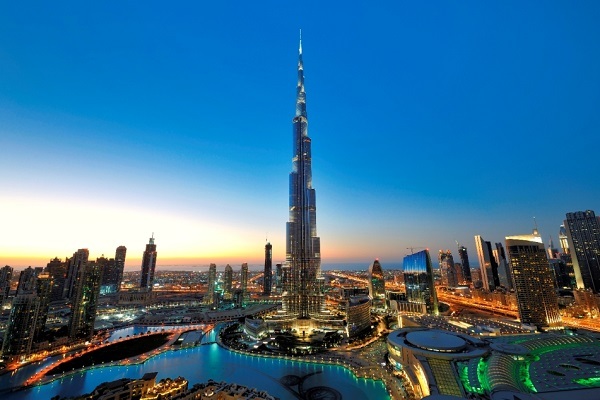 It was declared a UNESCO World Heritage Site in 1993 and has ever since undergone extensive restoration work. There are several small monuments that dot the pathway leading to the tomb. The most notable feature of this tomb is the garden square, (char Bagh), which is centrally located along with the shallow water channels. The Lotus Temple is a prominent attraction in Delhi. It is a Bahá’í House of Worship, notable for its lotus flower like shape. 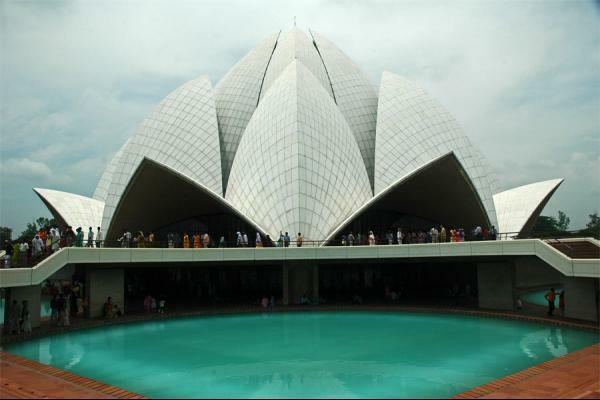 The Lotus temple serves as the Mother Temple of the Indian subcontinent. It has also won several architectural awards. Around the blooming petals are the nine pools of water that light up in natural light. The temple looks spectacular at dusk. There is lush, green landscape surrounding the temple. The structure is made of pure white marble. People of every faith are free to visit this temple to pray or meditate. Fondly referred to as the Taj Mahal of Mumbai, The Gateway of India was built during the British Raj to commemorate the landing of King George V and Queen Mary. It was later the ceremonial entrance for the Viceroys and the new Governors of Bombay. The structure is a basalt arch lying at the end of Chhatrapati Shivaji Marg in Mumbai. Statues of Chhatrapati Shivaji and Swami Vivekananda are also installed here. 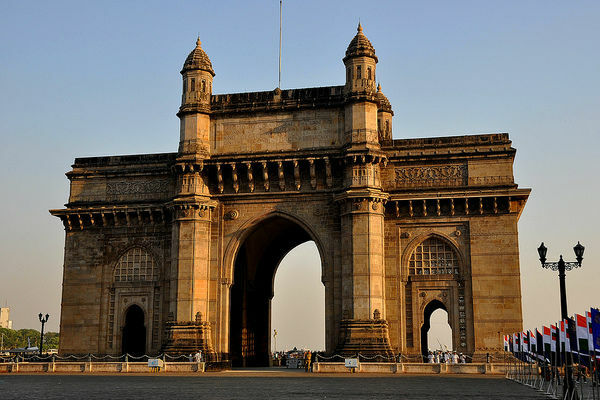 The Gateway of India is a major tourist attraction for visitors who arrive in India or Mumbai for the first time. The monument also attracts photographers, food stalls and vendors. The Agra Fort is a UNESCO World Heritage site in Agra, Uttar Pradesh, India. 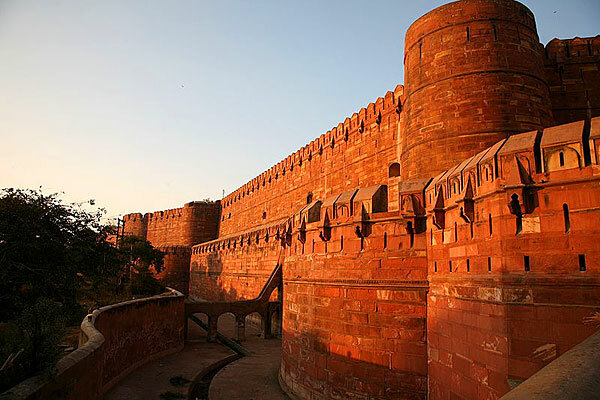 The fort is also known by names like Lal Quila, Red Fort of Agra and Fort Rouge. The fort was originally a brick fort known as Badalgarh and was later the residence of Sikander Lodi, the first Sultan of Delhi. He governed the entire country from here. The fort is a splendid palace in red sandstone and white marble. Even today, the fort is used for military purposes. 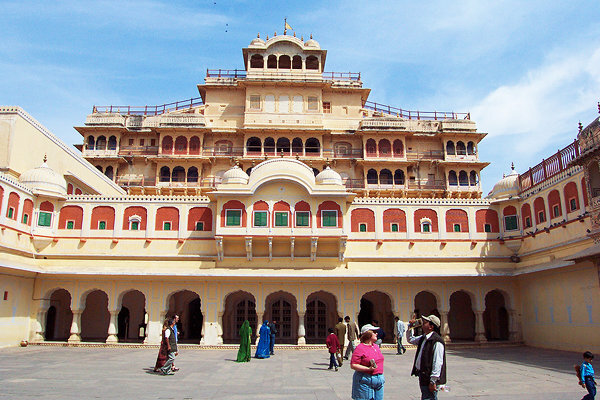 The City Palace is a palace complex in Jaipur. It was the place from where the Maharaja reigned. The palace includes other places like the Chandra Mahal and Mubarak Mahal palaces and other buildings. The Chandra Palace incorporates a vast array of courtyards, buildings, and gardens. The Chandra Mahal has now been turned into museums that contain unique handcrafted products and uniforms of the rulers. 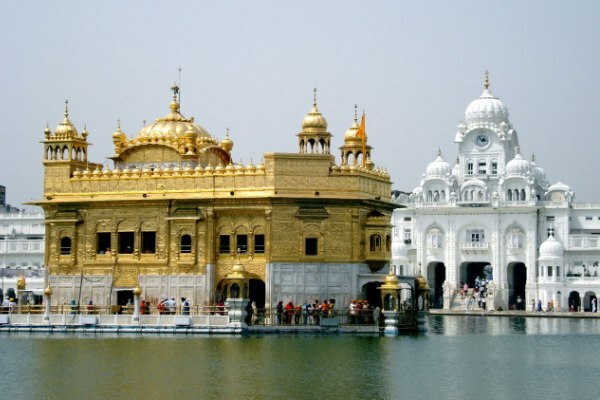 The Golden Temple, also called the Harmandir Sahib is the holiest Sikh Gurdwara located in the city of Amritsar. The Gurudwara is a symbol of equality and goodwill. There are four doors to get into the Golden Symbol, each symbolizing the openness of Sikhs towards people of all religions. The upper floors of the Gurudwara were covered with gold to prevent it from outside attack. This gives the Gurudwara its distinctive appearance and its English name. The foundation of the Gurudwara was laid by a Muslim saint Hazrat Mian Mir Ji. Guru Sahib made the Gurudwara accessible to everyone without distinction of religion, caste or creed. The temple also represents the glory, heritage and distinct identity of the Sikhs. Langar, a free, sanctified meal to prepared daily and is served to thousands of visitors. 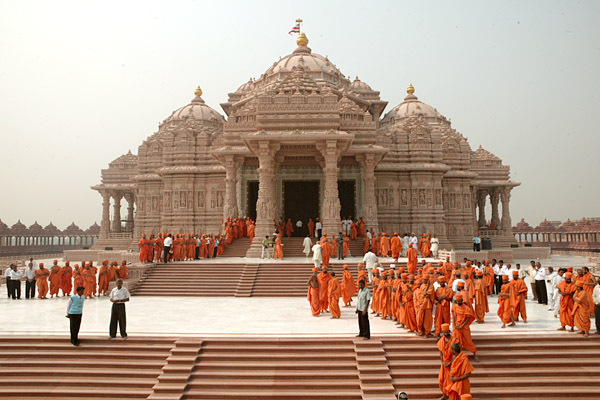 Akshardham, also referred to as Swami Narayan Akshardham, is a Hindu temple complex in Delhi. The temple displays millennia of Hindu and Indian culture, in terms of both spirituality, and architecture. The temple displays the essence of ancient traditions, architecture, and spiritual messages. It will take you to an enlightening journey through the glorious arts and values of India. The temple is crafted entirely of stone and features the incidents from the life of Swami Narayan. It has 20000 statues, arches, floral motifs and exquisitely carved pillars. City Palace is a palace complex in Udaipur, built on the banks of the Pichola Lake. It is the most visited place in Udaipur. It was built over a period of 400 years. City Palace has a fusion of Rajasthani and Mughal architectural styles and is considered the largest of its kind in Rajasthan. The palace includes several of its historical monuments like the Lake Palace and Jag Mandir. The palace also has an assortment of courtyards, terraces, corridors and hanging gardens. The Ganges also called the Ganga in Hindi is the second largest river in the Indian subcontinent. The sacred river originated in an ice cave in the Himalayas. 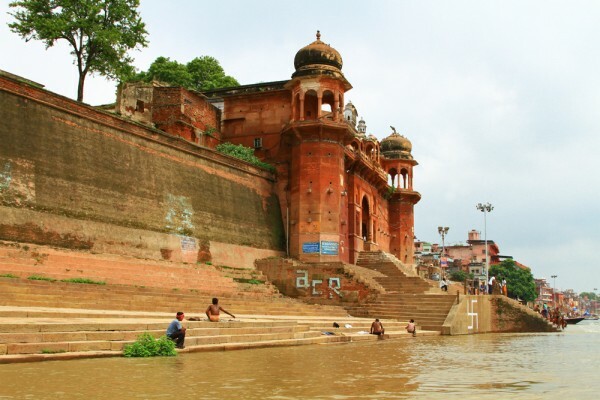 The river is named after the Hindu goddess Ganga. The Ganges is the heart of Indian culture and tradition. The divine river has been mentioned in all the sacred scriptures of the Hindus like the Ramayana, the Mahabharata, the Vedas and the Puranas. You will witness some of the most surreal scenes related to Hinduism along the Ganges. 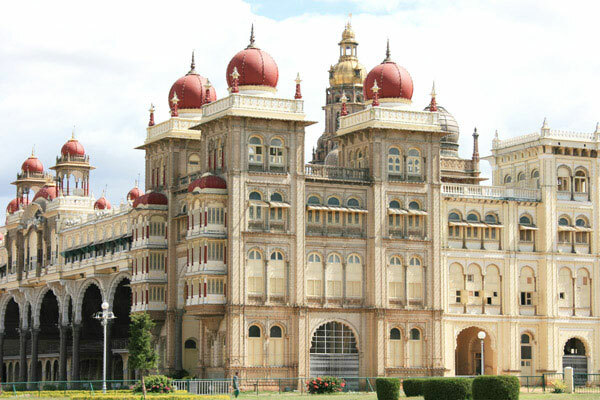 The Mysore Palace, also known as the “Amba Villa Palace” is one of the largest historical landmarks of India. It is the residence of the royal family of Mysore, the Wodeyars. The Mysore Palace is an example of the unique blend of different styles of architecture. It is a three-storied palace with a series of square towers with domed arches. The most striking feature of this palace is the gold plated dome that covers the open courtyard in the center. The entrance of the palace has a collection of Indian and European sculptures and objects. The interior is also architecturally thrilling. Meenakshi Amman Temple is a historic Hindu temple located in the city of Madurai, Tamil Nadu, India. The temple is dedicated to Parvati and Shiva. 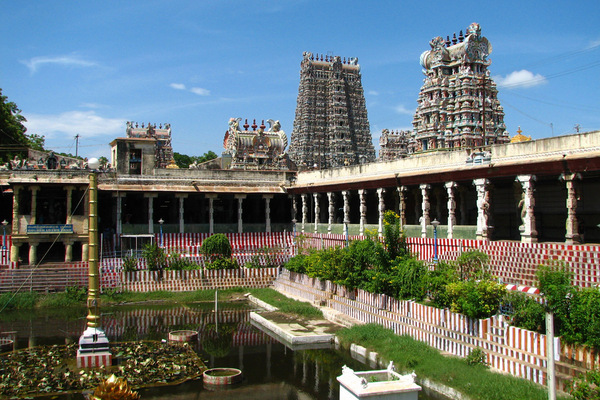 The temple is very significant to the people of Tamil Nadu. It is also mentioned in Tamil Literature. The temple attracts around 15000 visitors daily and more than 25000 on Fridays. There are around 33000 sculptures in the temple. It is a square shaped temple, each side having an entrance of its own. Jantar Mantar of Jaipur is the biggest stone observatory in India. It has a collection of architectural astronomical instruments. Jantar Mantar has also been inscribed on the World Heritage List as the place for astronomical observations and calculations. It was built to verify astronomical observations and to stimulate an interest in astronomy. The stone exterior and interior of this observatory adds to its unparalleled grandeur. 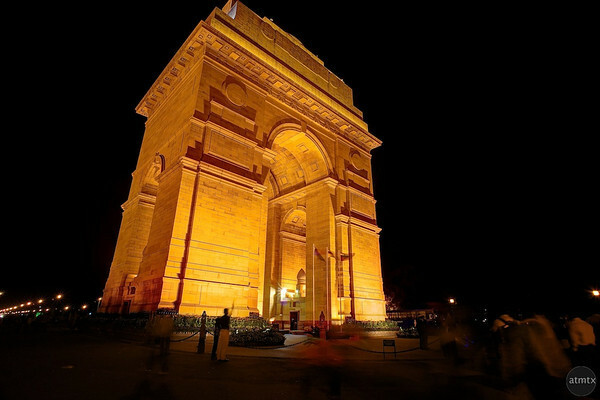 The India Gate is a war memorial located in New Delhi. It is a memorial to 82,000 soldiers of the Indian Army who died during the period 1914–21 in the First World War and the Third Anglo-Afghan War. Even though it is a war memorial, India Gate displays brilliance in terms of architecture. It is often compared to the Arc de Triomphe. India Gate is a popular relaxation area during the summer evenings. It is also a popular picnic spot during the spring season. 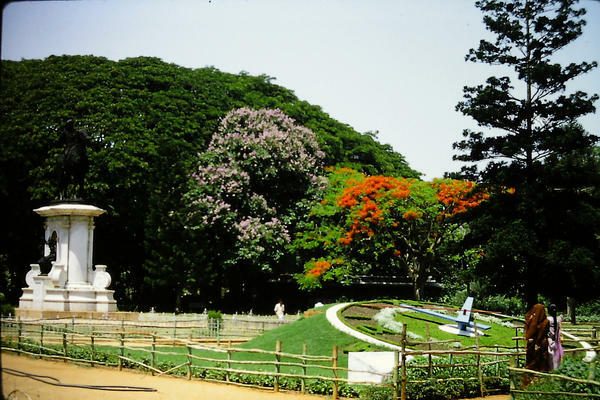 Lal Bagh is a well-known botanical garden in Bangalore. It was commissioned by Hyder Ali, and later finished by his son Tipu Sultan. The most notable feature of Lal Bagh is the glass house, which hosts a flower show every year. The Bagh also has the largest collection of tropical plants. 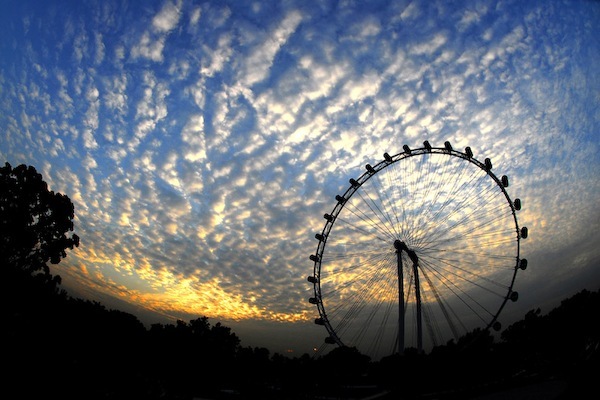 Nature lovers should definitely pay a visit here. 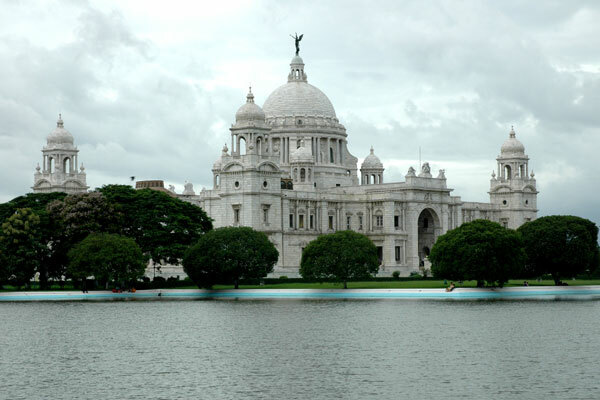 The Victoria Memorial is a large marble building in Kolkata. It was built to commemorate the peak of the British Empire in India. The historical monument is also dedicated to the memory of Queen Victoria. It is now a museum with an assortment of British Raj paintings, Victoria memorabilia, and other valuables. Do not forget to feast on the ‘phuchka’ and jhalmuri’, Kolkata favorite junk food. We hope you liked our compilation of 20 tourist places in India. Share us on your trip to India by mailing us. We will wait for it.